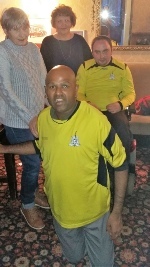 "League matches now over for this season and well done PHAB Utd finishing third plus Yorkshire Cup winners - You have all been brilliant - congrats. 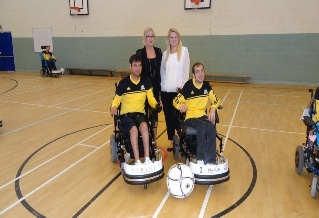 Also many thanks to all the back up volunteers - coaches (& referee!) 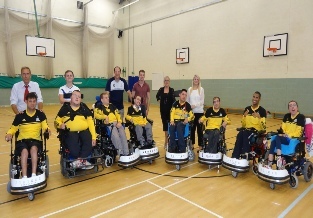 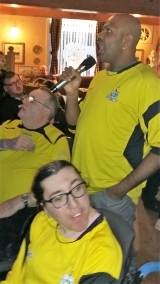 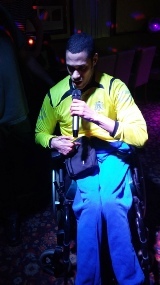 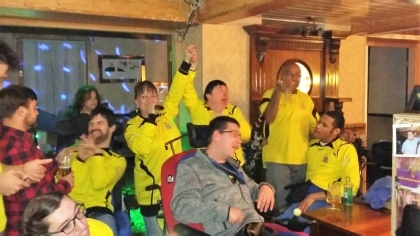 Drivers, helpers, fundraisers - without you all PHAB Utd would not exist - A couple more training matches and friendly before a well earned summer break - looking at improving the Yorkshire League for next season - CHEERS Paul"
A Karaoke evening helping to raise funds for PHAB Utd.